Thursday: The team has officially announced the contract, signing Jenner to a four-year deal worth $15MM. The $3.75MM average annual value is a raise on Jenner’s $2.9MM salary throughout his last contract. Wednesday: The Columbus Blue Jackets are close to re-signing one of their three key restricted free agents according to Aaron Portzline of The Athletic and Bruce Bolton of NHL Network, inking Boone Jenner to a four-year contract. Jenner was issued a qualifying offer last week and had arbitration rights, but will now stay in Columbus until hitting unrestricted free agency in the summer of 2022 should the contract be finalized as expected. Jenner, 25, hasn’t been able to replicate the 30-goal campaign he enjoyed in 2015-16, but is still a valuable piece in the Blue Jackets puzzle. A true power forward with over 200 hits in each of his four full seasons, Jenner filled in at center when required and recorded 32 points in 75 games. Though that isn’t the offensive performance the Blue Jackets are expecting, at least some of it can be attributed to his career-low shooting percentage that should rebound at some point in the future. Still, he isn’t as crucial to the offense as in previous years and will only become less so as players like Oliver Bjorkstrand and Sonny Milano become more comfortable. What he can do and why the Blue Jackets locked him up, is give the Blue Jackets an identity as a punishing, difficult team to play against. As Brandon Dubinsky sees his role diminish and Nick Foligno enters his thirties, much of the responsibility for physical play will fall to Jenner and other young forwards like Josh Anderson. Coach John Tortorella likes to have his teams grind down opponents with heavy forechecks, and the Blue Jackets will once again be one of the bigger teams in the league next season with Jenner and company in the fold. The question now becomes what Jenner will set himself up for on the open market as a 29-year old in 2022. Will he add another 30-goal campaign to his resume and be able to market himself as a premiere power forward, or will he simply be another David Clarkson with one outstanding year under his belt and relatively little success otherwise. He now has four years to prove himself one way or the other, and Columbus will certainly hope he leans towards the former. It was another strong regular season for the Columbus Blue Jackets in 2017-18. The team had its second-best finish with 97 points behind the strong efforts of all-world goalie Sergei Bobrovsky, blossoming young defensemen like Seth Jones and Zach Werenski, rookie forward Pierre-Luc Dubois and game-changing acquisition Artemi Panarin. Yet, the Jackets were again ousted in the first round and still have yet to advance past that stage of the postseason in their 17-year history. In evaluating what area Columbus needs to improve in next season, some will point to poor special teams or a lack of shots on net. However, the major issue this season was the center position, where everyone not named Dubois had a disappointing campaign. The scoring depth, defensive ability, and face-off success of the group was all lacking this year. Entering the off-season with more than $13MM in salary cap space, many think the Blue Jackets should make a competitive offer to John Tavares or even Paul Stastny or Tyler Bozak in an effort to solve their problems down the middle. As The Columbus Dispatch’s Steve Gorten describes, that is unlikely to be the case. While on surface level Columbus seems to be in fine shape regarding the salary cap, Gorten feels that GM Jarmo Kekalainen needs to tread carefully when contemplating adding salary to the current roster. In the short term, the team already faces several free agency dilemmas. 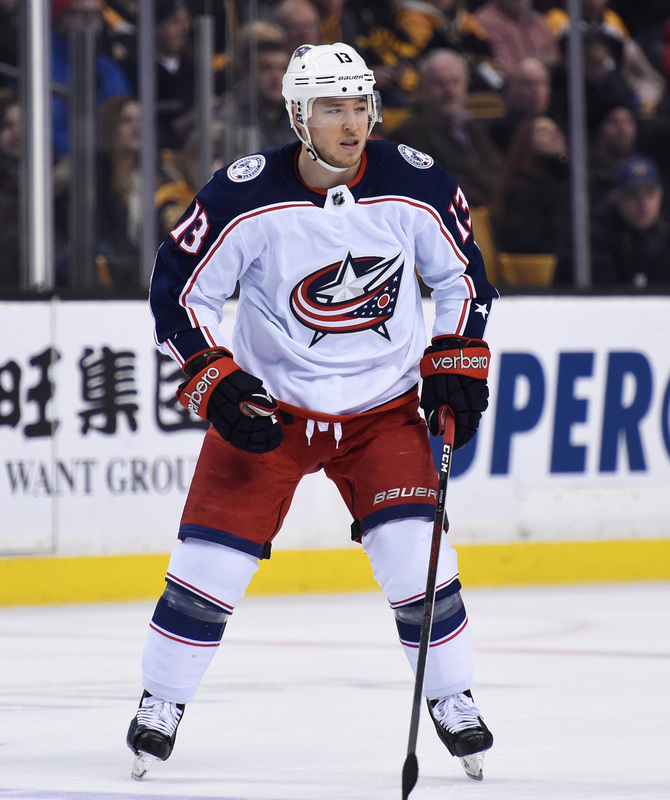 Restricted free agents Boone Jenner, Oliver Bjorkstrand, and Ryan Murray are in need of new contracts and the team is surely to be interested in retaining several impending unrestricted free agents such as Ian Cole, Matt Calvert, and possibly Thomas Vanek. The team’s long-term considerations are more pressing though; Columbus will need to pay Panarin, Werenski, and Bobrovsky after next season, all of whom will command significant contracts in both term and salary. Given these spending limitations, both this year and in the future, signing a top free agent center is unlikely to be the right move for the Blue Jackets. Instead, Gorten suggests that Columbus stand pat and wait for their current centers to rebound from down seasons. 23-year-old Alexander Wennberg showed 60+ point potential last season, but injuries and long stretches of poor play kept him to just 35 points in 66 games this year, the first season of a six-year, $29.4MM deal. Health may be all it takes to get Wennberg back into that true #1 center range and the 2013 first-rounder may still make his contract look like a bargain and could even end up being a superior player to Dubois. 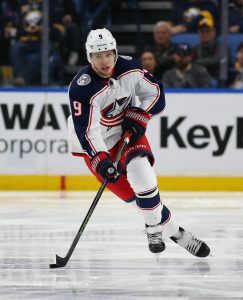 For his part, Kekalainen has trust in the young forward, telling Gorten “I’m 100 percent confident with Wennberg that he’s going to have a great year next year.” What Kekalainen may be more focused on is improvement in the bottom-six, where the Jackets need a return to form from veteran Brandon Dubinsky. The 32-year-old is midway through a six-year, $35.MM deal but did not play to that level this season. Dubinsky was held to just 16 points in what was easily the worst season of his career. A buyout at this point in the contract would be very costly to Columbus, who are left to hope that he can bounce back. Gorten also suggests that the depth down the middle could be substantially bolstered by a prospects like Lukas Sedlak, Alexandre Texier, or Jonathan Davisson taking a step forward in their development, while there is also the off chance that the Jackets could land a potentially pro-ready pivot like Jesperi Kotkaniemi, Isac Lundestrom, or Barrett Hayton at pick #18 in the first round. 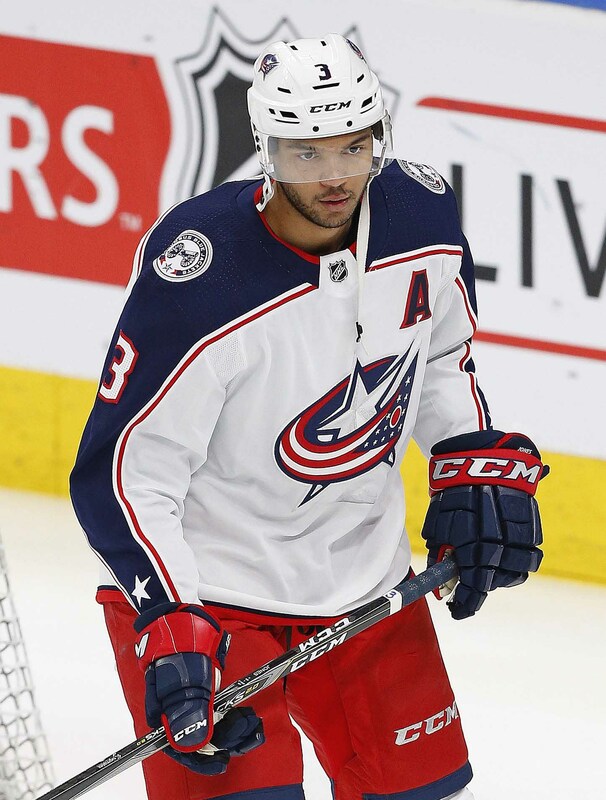 Even if all of that doesn’t work out, Columbus will also have options like Jenner and captain Nick Foligno, who they have hesitated to leave at center full-time, but are more than capable of playing the position if necessary. 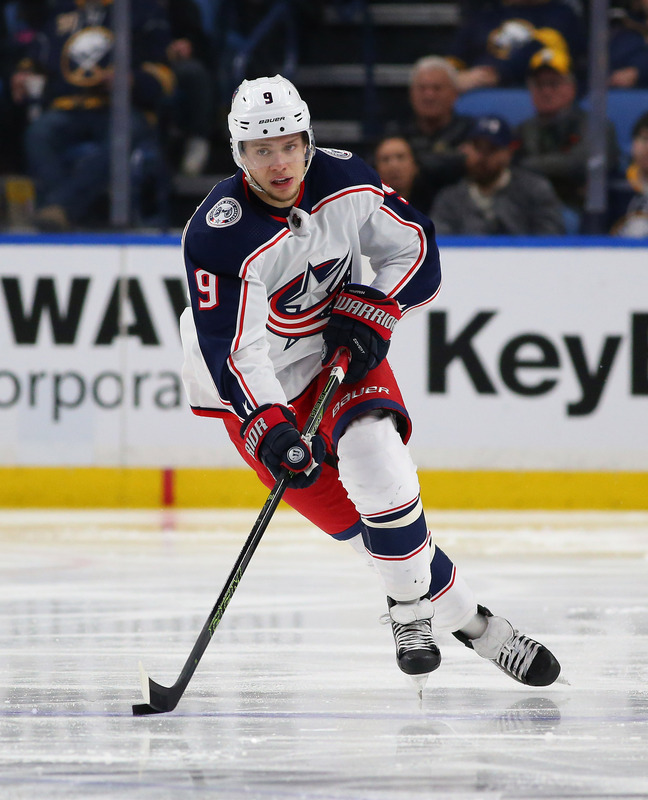 Rather than handcuff themselves with a free agent contract that could cause problems down the road, Gorten seems right in his take that hoping for the in-house options to step up their game seems to better suit the Blue Jackets this off-season. The Penguins have expressed an interest in Senators centers Derick Brassard and Jean-Gabriel Pageau, reports Postmedia’s Bruce Garrioch. However, the scribe notes that Ottawa isn’t likely to deal either player and it was reported earlier this week that the asking price for Brassard was quite steep – a first-round pick, a top prospect, plus another piece. The ask on Pageau is obviously lower but with two years at $3.1MM per season left on his deal, it might be a challenge for Pittsburgh to fit that into their salary structure. It’s well known that the Pens are still looking to add help down the middle but they will likely have to look elsewhere for that assistance. The Hurricanes may be willing to retain on center Marcus Kruger’s contract in an effort to move him before the trade deadline, notes Luke DeCock of the Raleigh News and Observer. Kruger recently cleared waivers and has played his last three games with Carolina’s AHL affiliate in Charlotte. Even with retaining on his contract, it still may be a challenge to find a taker as the 27-year-old has another year after this one on his deal with a cap hit just under $3.1MM although his salary dips to $2.3MM. Aaron Portzline of The Athletic relays (subscription required) that Blue Jackets forward Boone Jenner is out there as a possible trade option. 2017-18 has been a down year for Jenner as he has just five goals in 50 games after tallying 48 over the previous two seasons combined. Given his size and ability to play center though, he would undoubtedly garner a lot of interest. Jenner has a $2.9MM salary and cap hit this season which will stand as his qualifying offer this summer as a restricted free agent with arbitration rights. Red Wings defenseman Mike Green is shaping up to be one of the top rental players available between now and the trade deadline. Accordingly, MLive’s Ansar Khan speculates that Detroit could try to land a late first-round pick for his services from a team that is guaranteed to be playoff-bound. If not, he thinks a pair of second rounders could be a realistic ask, especially considering the fact that Brendan Smith was able to yield a second and a third-round pick a year ago. Green has a $6MM cap hit but if the Wings are willing to retain on it (something that seems likely), they should be able to land a sizable return for his services. The Senators will be without defenseman Dion Phaneuf for a second straight game tonight against the Panthers, reports Don Brennan of the Ottawa Sun. Unlike several other Ottawa players who are dealing with injuries or illness, this one is at least for a happier reason as Phaneuf is with family following the recent birth of his daughter. He’ll be ready to go following the holiday break. The NHL has rescinded the game misconduct penalty given to Blue Jackets winger Boone Jenner, Aaron Portzline of The Athletic reports (Twitter link). This is notable as players who accumulate two game misconducts for stick infractions within 41 games or three in total for any reason during the season receive an automatic one-game suspension. This penalty being taken back puts Jenner back at a clean slate for the season. Panthers goaltender Roberto Luongo has resumed skating, notes Walter Villa of the Miami Herald. However, he is still several weeks away from being able to return to the lineup from his leg injury. Villa adds that winger Jamie McGinn’s absence from their game last night was due to an upper-body injury. The veteran is listed as day-to-day.